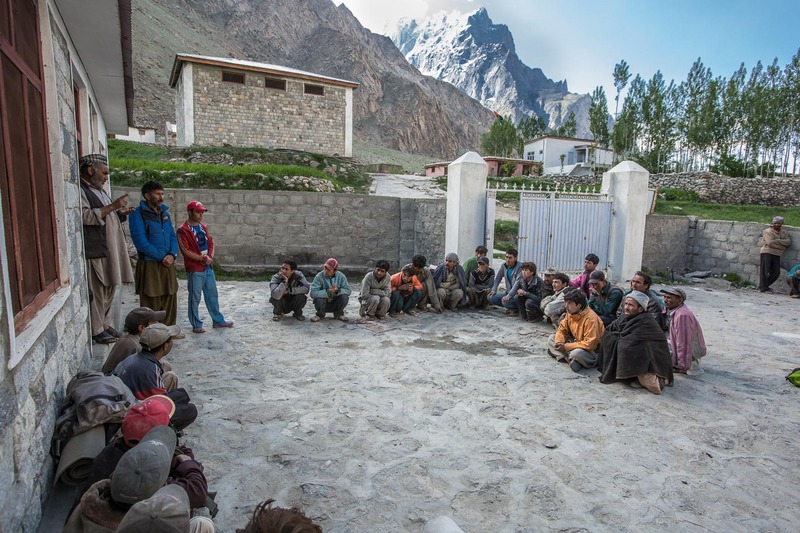 A short blog post looking back on the expedition to Pakistan i joined in 2015. As I jumped from one massive bolder to the next trying to pick my way through the maze of moraine left behind by the retreating glacier, I desperately searched up ahead to see if I could see the others, I could just about make them out waiting for me again up ahead. At 4000m I was feeling the altitude it not seem to have even the tiniest effect on the two climbers I was with or the porters. I was beginning to worry that I was nowhere fit enough! As an expedition photographer I find you end up being a bit of a jack-of-all-trades and master of none. I have documented climbing, paddle boarding, and kite skiing expeditions amongst others, and often the people you are trying to keep up with are masters of what they do, this can make for a steep learning curve! The head man of the last village on our route organising porters to help get our kit up the valley. 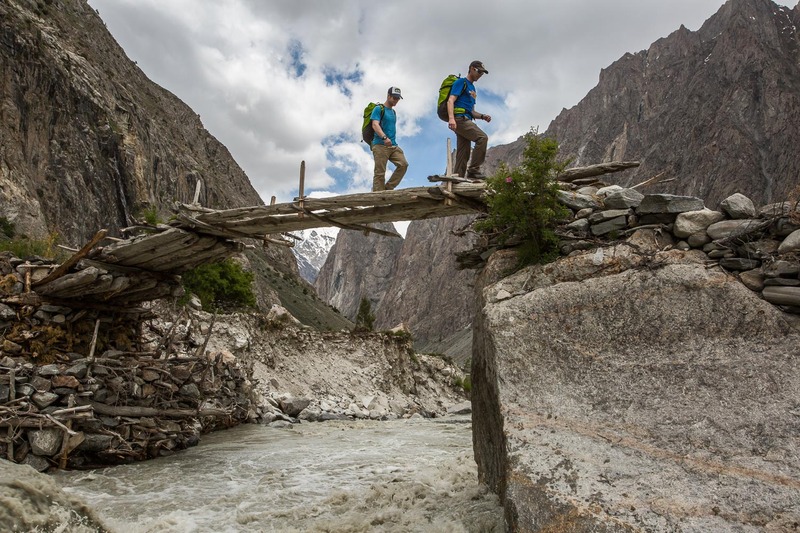 And so I found myself in the Himalaya of Pakistan desperately trying to keep up with two seasoned climbers, Jon Griffith and Andy Houseman, both extremely fit and far better acclimatised to the altitude than me. This was my first trip to Pakistan and its beauty astounded me. 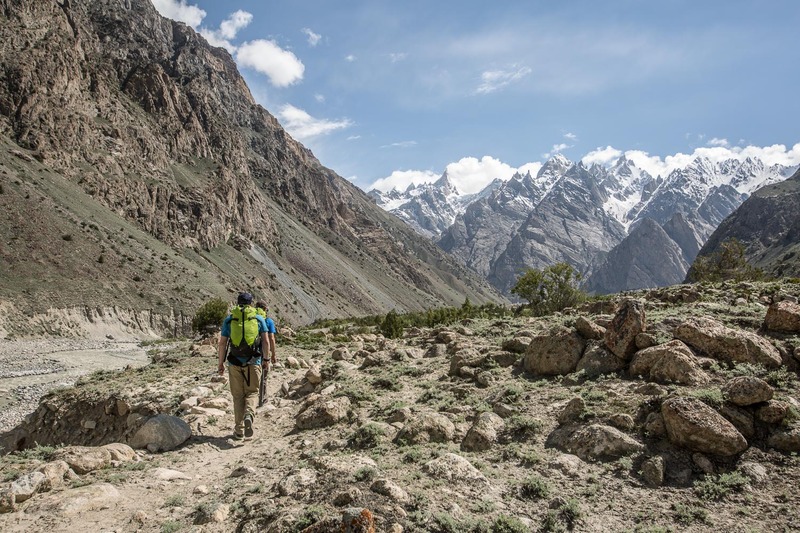 We were walking up to K6 base camp along the Hushe Valley having travelled up the Karakorum highway. 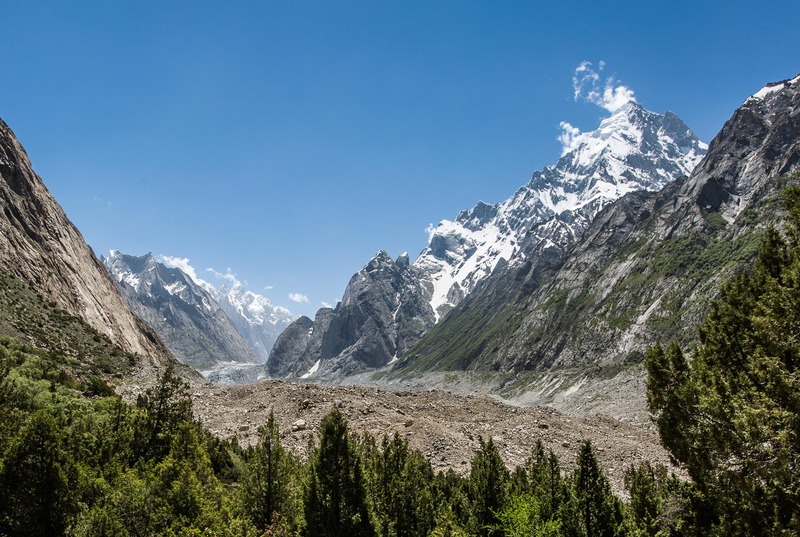 The area had been extremely popular with walkers, climbers and mountaineers from all over the world, two year earlier militants claiming allegiance to the Taliban had stormed in to the base camp of a nearby mountain and killed all but one of the twelve climbers. Over night tourism to the region had collapsed leaving many local people that had made their living destitute. Lower down the valley we had passed large hostels that were now completely empty. On top of the shocking deaths of those climbers it was it was desperately sad to see how the actions of a few individuals could so devastate the economy of such a large region. Looking back down the valley, the area is one of the most stunning places i have visited. I was here with the two climbers to document their attempt on the unclimbed peak Link Sar, an awe-inspiring mountain that to reach the top involved a climb up a northerly face to 7000m followed by a traverse of a ridge at the same height, and then a final technical climb of 200m to reach the summit. There was no question of me following them up the face as it was way beyond my ability however I was going to film and photograph the preparations at base camp leading up to the climb, and then had an ambitious plan to try and film the climb using a drone specially adapted to the altitude. 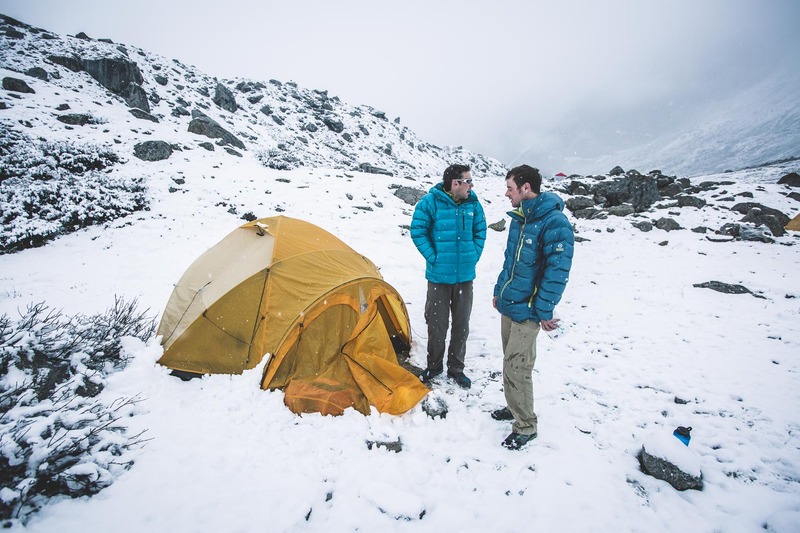 Only a couple of days after the expedition arrived at base camp the weather changed from stable and clear to thick cloud and large amounts of snow falling. This was exactly what the climbers did not want as the large amounts of snow falling on the mountain would make the conditions unstable and the risk of avalanche dramatically higher. Every so often we would trek up the valley so that Jon and Andy could get a look at Link Sar to see what the conditions were like. While the snow was bad news for the climbers it did make for some incredible photography, while the Jon and Andy studied Link Sar I was able to sit and wait for the huge avalanches that every so often thundered down the face of K6. 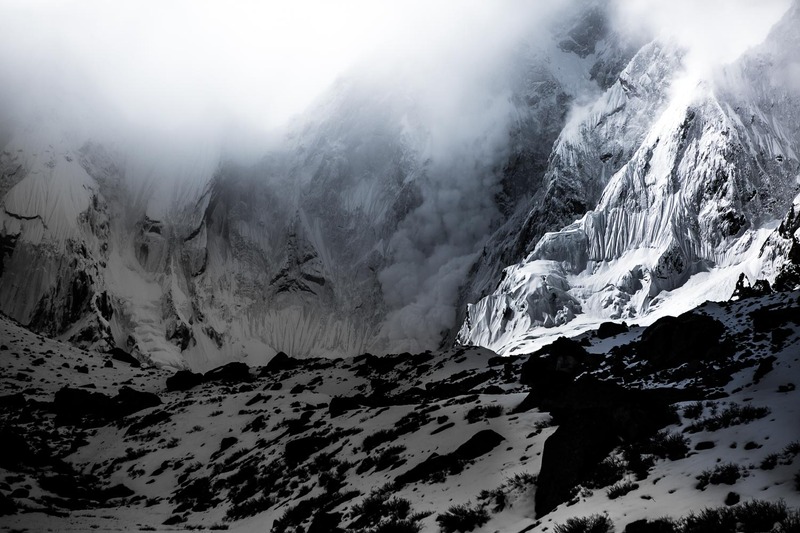 The sheer size of K6 and everything surrounding us created a mesmerizing illusion, while the avalanches seemed to billow sedately down the mountain’s face, they were in fact thundering down at hundreds of kilometres and hour. On this particular the clouds over the mountain were creating a great light and giving the image the high contrast I wanted for this black and white image. It was this image that made it in to the Wildlife Photographer of the Year Exhibition in 2017. Contemplating a not ideal change in the weather! 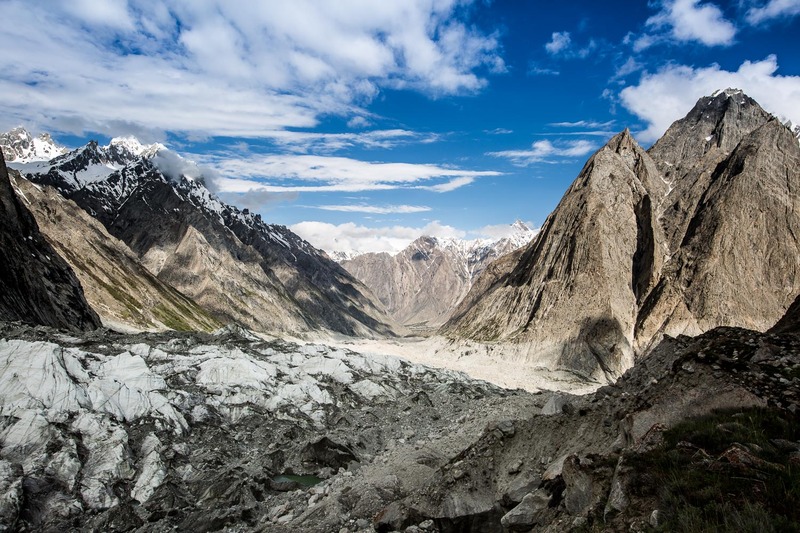 Over the years I am lucky enough to have worked on expedition to some of the worlds most remote regions such Greenland, Antarctica, or the Amazon, however I can say that the Pakistani Himalaya are up there with the most stunning and inspirational places I have photographed, I am desperate to return at some point, and would recommend anyone that gets a chance to not let it pass and head there.